According to the American Nutrition Association, a food desert is a part of the country deprived of fresh and healthy foods including fresh fruits and vegetables. This is due to a lack of grocery stores, farmers markets and healthy food providers. Food deserts are much more prevalent in poor black neighborhoods; with predominantly white neighborhoods having 4x the grocery stores. Some individuals may be able to use a form of transportation private or public to overcome the obstacle of distance; but some simply can’t. Rural food desert – residents must drive more than 10 miles to the nearest supermarket. Urban food desert– having to drive more than a mile. Those who live in an American food desert usually have to buy from small corner shops that usually do not carry fresh food; but imperishable food such as canned, dried, processed and tinned foods. That or eat fast food, if they can’t make the trip to the nearest market. This can make it very difficult to make healthy eating choices. But difficult doesn’t have to mean impossible. Here is some data according to a National Consumers League survey taken from 20 corner grocery stores in the District of Columbia. Every corner store they surveyed had some sort of fresh produce. Bananas, apples, and oranges were the three most common types of fresh produce available – with bananas being the most popular. 40% of stores had more than three types of produce available. 70% of stores displayed their produce in highly visible places such as near the cash register or somewhere near the front of the store. This isn’t very much to work with, no. But paired with canned and dried plant food such as beans/lentils, pasta and vegetables, you may be able to make healthier choices than you would be eating packaged and dried meat. And of course, there is always vegan junk food as well that will definitely be in store – if you’re not as concerned with health than you are ethics. There is also fast food, which many people who live in food deserts may have no choice but to eat. Luckily, there are plenty of vegan fast food options! You can always check Urban Taste Bud for complete vegan menu options at your local fast food place. Living in a food desert isn’t easy or ideal, but there are ways to get fresh food in your area! 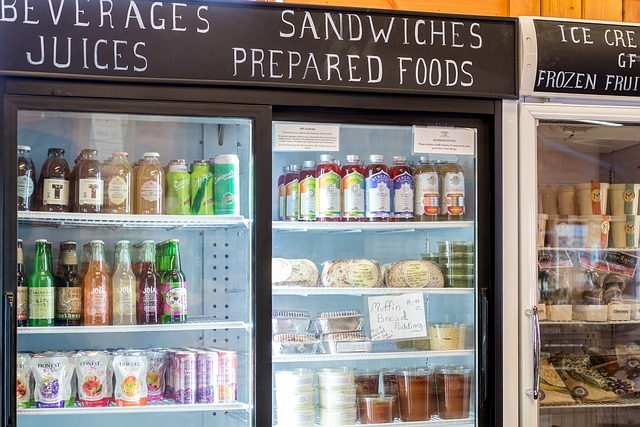 The National Healthy Corner Stores Network is comitted to making fresh food more accessible nationwide in food deserts, mobile produce vans and mobile markets are also becoming more available. If it’s not in your area, you may be able to change that with enough time and support (and bugging the higher ups in your community about food accessibility in your county / town). In the mean time, veganism very well may be accessible for you! If it applies, you can always check out or article on low income veganism as well. 22 year old vegan animal activist and dog groomer currently living in Washington D.C. Mommy to two dogs, two birds, a cat and a rabbit.